Needs anew amp!! Help me choose!!! I'm looking for a new amp and bewildered by the choice!!! I'm a long time user of marshall jcm800's. I love em, but they're just too powerful for most things these days. My "core" sound was a les paul into a jcm800 with a ts9 in front set to clean boost. Worked for me!! Too powerful for most places and no solo boost though. I sold off all the big stuff and am looking for something else. As I've pretty much exclusively played jcm800 2203/2204's for so long I'm a bit lost with what else is out there. So I need something reliable, something simple to use!! I don't need a clean tone but a good core drive sound, with different shades of dirt, from crunch to boosted jcm800 type levels. I don't need loads of channels, but I would like the ability to have a solo boost. I play the average mid level venues that most of us play, so need to be heard above other guitarists etc but mic'd up most of the time. It'd be great if it's an amp I can play in the house too. My core sounds are marshally rock./metal from 70's through to 90's. I'm told I sound somewhere between motorhead and slayer. 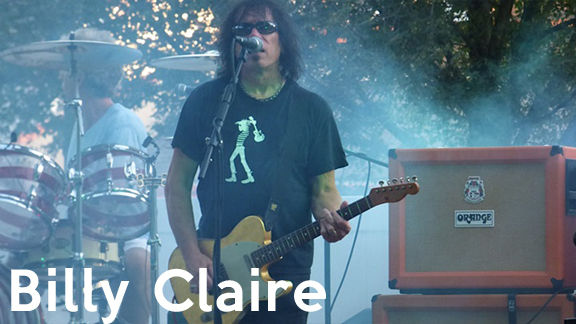 I play a mixture of garage rock, NWOBHM, punk and crossover stuff. Any idea what would be worth checking out for me?? Re: Needs anew amp!! Help me choose!!! 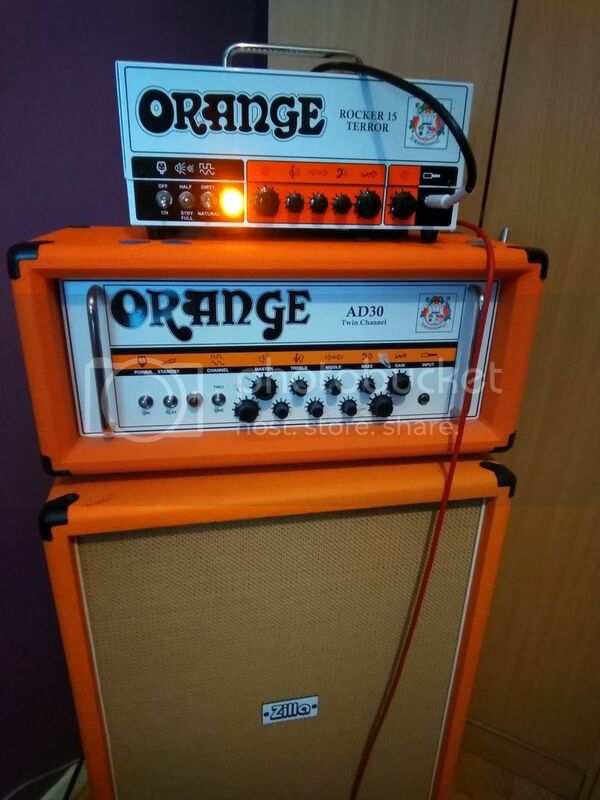 In terms of Orange amps, i would suggest the R15 terror or, if 15w isn't enough, the R30. The R30 has been compared to a JCM800 on steroids.... with Orange voicing, of course. If you dont need a effect loop or the clean channel, a Tiny Terror with a 2x12 could do the trick. So could also tcheck the Brent Hinds terror that have more gain voiced differently. I have a Rocker 15 combo, and although it's loud enought in 95% situation, I sometimes need more power. So keep your JCM800 for gigs when you are not miced. Yep I'm the same when it comes to using anything but Orange amps!! Rocker 30 for sure... The dirty channel is amazing but it's loud!! I've also got the Rocker 15 , yes it's good, versatile and good tone at smaller volumes but it's not got a beast of a dirty channel like there rocker 30. Agreed, AD30HTC is where it's at. I just switched back from a JCM800. How did you find it compared to a jcm800 !! Why not the new JCM800 Studio? It's been annonced at NAMM. It just had more cream (I know, not a technical term) and less harness to the breakup. Plus, since the AD30HTC is Class A, you don't need to bring the amp to an ungodly loud volume to get nice power tube breakup. Even my band mates commented that the AD30HTC slayed my JCM800.